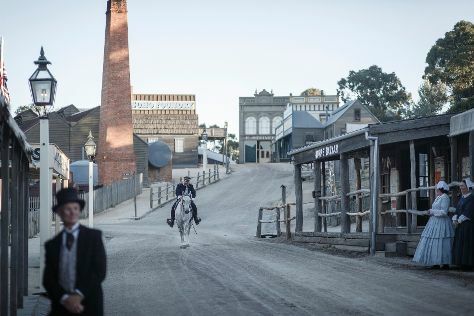 Start off your visit on the 21st (Fri): steep yourself in history at Sovereign Hill and then explore the activities along Lake Wendouree. On your second day here, take in nature's colorful creations at Ballarat Botanical Gardens, explore the historical opulence of Kryal Castle, then identify plant and animal life at Ballarat Wildlife Park, then take in the exciting artwork at Art Gallery of Ballarat, and finally don't miss a visit to Lydiard Street. For other places to visit, reviews, where to stay, and more tourist information, read Ballarat trip planner . Melbourne to Ballarat is an approximately 1.5-hour train ride. You can also drive; or take a bus. Expect a daytime high around 29°C in December, and nighttime lows around 13°C. Wrap up your sightseeing on the 22nd (Sat) early enough to drive to Halls Gap. On the 23rd (Sun), admire nature's wide array of creatures at Halls Gap Zoo, then hike along The Pinnacle, and then trek along Chatauqua Peak. 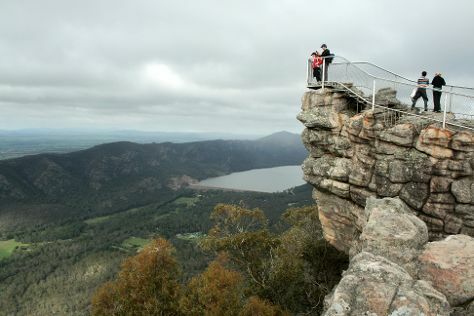 To see reviews, other places to visit, ratings, and more tourist information, read Halls Gap vacation tool . Drive from Ballarat to Halls Gap in 2 hours. Alternatively, you can do a combination of train and bus; or take a bus. Finish your sightseeing early on the 23rd (Sun) so you can drive to Daylesford. Known for its natural spring mineral spas, Daylesford is a rejuvenating spot to take the waters and sample local wine. Start off your visit on the 24th (Mon): explore the activities along Lake Daylesford, then soothe aching muscles at some of the top local wellness centers, then take in the exciting artwork at Convent Gallery, and finally take in nature's colorful creations at Wombat Hill Botanical Gardens. To find more things to do, other places to visit, maps, and other tourist information, use the Daylesford travel app . Traveling by car from Halls Gap to Daylesford takes 2.5 hours. Alternatively, you can do a combination of bus and train; or take a bus. In December, daily temperatures in Daylesford can reach 30°C, while at night they dip to 13°C. Wrap up your sightseeing on the 24th (Mon) to allow time to drive to Bendigo. Start off your visit on the 25th (Tue): enjoy some friendly competition at Bendigo Bowling Centre, then see the interesting displays at Golden Dragon Museum, then explore the world behind art at Bendigo Art Gallery, and finally admire the natural beauty at Rosalind Park. Get ready for a full day of sightseeing on the 26th (Wed): admire the striking features of Sacred Heart Cathedral, explore and take pictures at Central Deborah Gold Mine, then look for gifts at Bendigo Community Farmers Market, and finally contemplate the waterfront views at Lake Weeroona. To see maps, other places to visit, where to stay, and more tourist information, use the Bendigo trip planner. Getting from Daylesford to Bendigo by car takes about an hour. Other options: take a bus; or do a combination of bus and train. Cap off your sightseeing on the 26th (Wed) early enough to go by car back home.